The Taser Sword: I would be so tempted to use this…. Proof that anything you can imagine in D&D can be made reality? 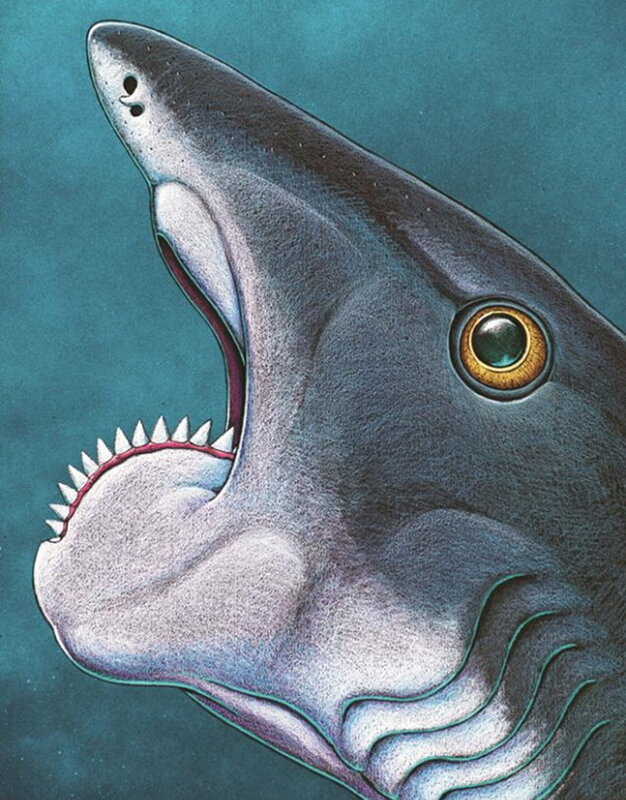 This is an artist’s recreation of Helicoprion, a 270-million year old shark that roamed the ocean preying on other marine life WITH ITS FULL 360-DEGREE SPIRAL BUZZSAW OF TEETH. Now? Now it’s extinct except for in our nightmares starting tonight. I so want a secret base guarded by a swarm of these. Infiltrate that, Mr. Bond! Japanese superhero vs. Starfish Hitler!